The Web 2.0 technologies have significantly increased the access and use of contents on the websites, in the field of Education OCW provide students, faculties and self-learners the opportunity to access the prestigious Universities in the world. The aim of this study is to propose the integration of social technologies in the cycle of production and publishing of OCW in order to enhance the social and collaborative learning. The proposal is based on the analysis of literature review and application of quantitative and qualitative methods in a case study, the level of acceptance and expectations of integrating social technologies in Open Educational Resources (REA). The obtained results are a social and collaborative production cycle (REACS) complemented by social technologies implemented to Educommons platform to promote access, use and collaboration of this kind of resources. The case study and its implementation conclude that it is possible to enhance the social and collaborative learning in Open Course Ware. Sicilia, M.A. (2007). Más allá de los contenidos: compartiendo el diseño de los recursos educativos abiertos. En: Contenidos educativos en abierto. Revista de Universidad y Sociedad del Conocimiento (RUSC). Vol. 4, n.° 1. UOC. (http://goo.gl/4oq9c0) (07-12-2013). Johnson, L., Adam, S. & Cummins, M. (2012). The NMC Horizon Report: 2012 Higher Education Edition. Austin Texas: The New Media Consortium. (http://goo.gl/6oQ2ZI) (18-06-2013). Johnson, L., Adams, S., Cummins, M., Estrada, V., Freeman, A. & Ludgate, H. (2013). NMC Horizon Report: 2013 Higher Education Edition. Austin, Texas: The New Media Consortium. (http://goo.gl/RqHXj0) (07-01-2014). Lloréns, B. L., Espinosa, D. Y. & Castro, M. L. (2013). Criterios de una modelo de diseño instruccional y competencia docente para la educación superior escolarizada a distancia apoyada en TIC, 2-21 (http://goo.gl/NMiT2O) (17-02-2014). Muñoz, P. (2011). Modelos de Diseño Instrucionales utilizados en ambientes teleinformativos; (http://goo.gl/Z1jjXU) (28-03-2014). Belloch, C. (2013). Diseño Instruccional. Entornos virtuales de formación Universitat de Valencia (http://goo.gl/Eo2DbR) (07-11-2014). Borrás, O. (2010). Observatorio de plataformas para OCW. GATE Universidad Politécnica de Madrid (http://goo.gl/OYDTmm) (12-01-2013). Ferguson, R. & Buckinham S.(2012). Towards a social learning space for open educational resources. Collaborative Learning 2.0: Open Educational Resources, 309–327. (DOI: http://doi.org/zzw). Arimoto, M. & Barbosa, E. (2012). A Systematic Review of Methods for Developing Open Educational Resources. International Conference on Computers in Education 2012, 1-8 (http://goo.gl/rVIMi5) (17-01-2013). Cueva, S., Rodríguez, G. & Romero, A. (2010). OER’s Production Cycle with Social Authorship and Semantic Tools. IEEE Education Engineering Conference, 121-128. (DOI: http://doi.org/bp2d2t). Aguillo, I., Ortega, J., Fernández, M. & Utrilla, A. (2010). Indicators for a webometric ranking of open access repositories. Scientometrics, Volume 82, Issue 3, 477-486. (DOI: http://doi.org/cb5bkz). Webometrics. (2014). Ranking Web of Repositories., January 2014 edition: Altmetrics indicators added!. (http://goo.gl/NPklHn) (07-12-2014). Codina, Ll. (2004). Posicionamiento Web: Conceptos y Ciclo de Vida. Hipertext.net Universitat Pompeu Fabra (http://goo.gl/G51z9y) (07-11-2013). Marisck, V. & Watkins, K. (2002). Informal and Incidental Learning. Incidential Learning, 25-35. (DOI: http://doi.org/c9w4bp). Lockyer, L. & Patterson J. (2008). 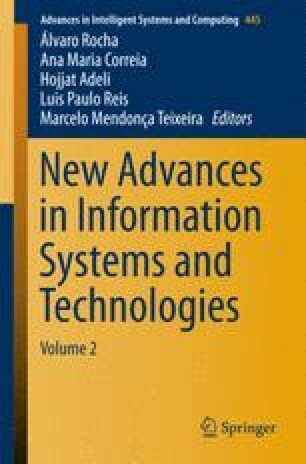 Integrating social networking technologies in education: a case study of a formal learning environment. Eighth IEEE International Conference on Advanced Learning Technologies (DOI: http://doi.org/d62zpz).